American football players, civil rights activists and labor leaders say any attempt by conservative talk show host Rush Limbaugh to purchase the St. Louis Rams is unthinkable and would add insult to injury. The Rams have lost 15 games straight, the longest losing streak in the league. Critics say Limbaugh’s divisive rhetoric and history of racially charged remarks make him completely unfit for a role in one of the country’s most popular games. “I really have strong feelings against Limbaugh having anything to do with the Rams,” said Lew Moye, president of the St. Louis chapter of the Coalition of Black Trade Unionists. Moye is a life-long resident of St. Louis and worked at a Chrysler assembly plant in Fenton, MO., for 44 years before retiring in 2008. He was the shop chairman of his Local 110 with the United Auto Workers union. He’s also a big Rams fan. Football is a national past time and having Limbaugh, as an NFL owner would not be healthy for the city’s make-up, which has a large African American population, said Moye. If Limbaugh were the owner it would signal a pool of approval of his views and statements and people in St. Louis are opposed to them, said Moye. Moye notes that people he has talked to recently including local community organizations and labor leaders in St. Louis have expressed their opposition to Limbaugh’s bid. “There is no way the NFL should approve the sale and that’s the general consensus I get and hopefully the players will speak out too,” said Moye. DeMaurice Smith is the NFL Players Association executive director and wrote a letter to NFL Commissioner Roger Goodell urging him to reject Limbaugh’s bid. Smith is also urging NFL players to speak out against Limbaugh and in a recent statement made it clear their participation is critical to the game. The Revs. Al Sharpton and Jesse Jackson also spoke out against Limbaugh’s bid saying his track record on race should exclude him from owning an NFL team. Speaking to the Associated Press, Jackson said Limbaugh has made his wealth appealing to racists with an unending line of insults against Blacks and other minorities. Over the years Limbaugh has developed a notorious record of making racially motivated comments. For example in 2003 he worked briefly on ESPN’s NFL pregame show. He quickly resigned after saying Philadelphia Eagles quarterback Donovan McNabb, at the time one of the best in the league, was overrated because the media wanted to see a black quarterback succeed. For decades almost no Blacks played the position. In 2004 after an ugly brawl in the NBA Limbaugh recommended that the basketball league be renamed the Thug Basketball Association. In 2007 Limbaugh said the NFL’s rough play resembles a fight between the Bloods and the Crips, two notorious African American street gangs. If approved Limbaugh would be a limited partner – not the controlling partner or lead investor – in an ownership that includes St. Louis Blues owner Dave Checketts. There is no guarantee that their bid to purchase the 60 percent of the team owned by Georgia Frontiere would prevail. Frontiere died in 2008. Three to six groups are reported to be interested in the bidding for the team, which Forbes magazine valued last month at $913 million. 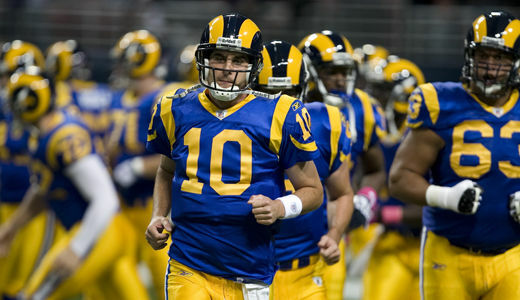 Stan Kroenke, who owns the other 40 percent of the team, has the right to match any offer. The winning bidder would have to be approved by a three-fourths majority of the NFL’s other 31 owners. Tony Pecinovsky is a local labor activist in St. Louis and is also the Missouri-Kansas district organizer of the Communist Party, USA. “I think it would be an insult to the people of St Louis if Limbaugh became a Rams owner,” he said. “We are a union city that has a rich African American community and having Limbaugh, a staunch anti-union advocate, as owner would add insult to injury,” said Pecinovsky. “Limbaugh is an inflammatory figure that makes comments with no real regard to hard facts and it would really tarnish the football community here and sports in general,” he said. “There’s just no room for his type of politics here,” notes Pecinovsky. St Louis residents including the African American community are strongly opposed, he said. These days it’s hard enough for Rams players to focus on anything other than trying to win a game. The players are having a real tough time making any gains on the football field and right now it’s just too difficult for them to really respond to the whole Limbaugh debacle, some say. The Rams are off to a bad start this year at 0-5 and on Sunday they were crushed by the Minnesota Vikings, 38-10. Yet some Rams fans still have hope. “They’re playing real hard out there,” said Moye. “We started out as a bad team and we’re making plenty of mistakes on the field,” he added. “But I see some positive things developing and if they keep plugging away I think we’ll be okay,” he said.